Delivering faster, more accurate and comfortable measuring. 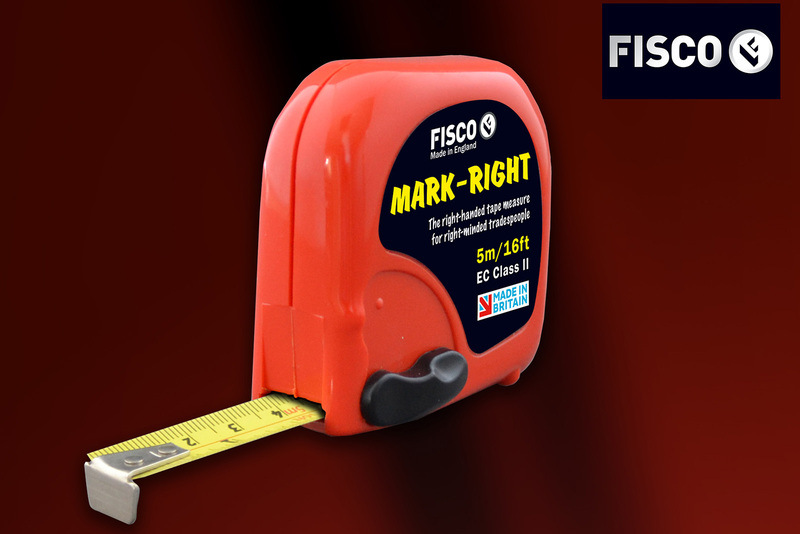 If you’re fed up with reading tapes upside down, get to grips with Fisco’s new ‘Mark-Right’ Tape. It’s designed for right-handed craftsmen and women with a blade that reads from right to left. So measuring and and marking gets a whole lot easier and more accurate because you wont have to read the tape measure upside down and use your left hand to hold the tape in position whilst marking. Available in 5m lengths, the blade is graduated in mm and inches, is accurate to EC Class II and housed in a tough ABS case with a positive action slide lock brake, belt clip and zeroing end hook.